It's a miracle, but, there was no new fabric making a home here with me last week. 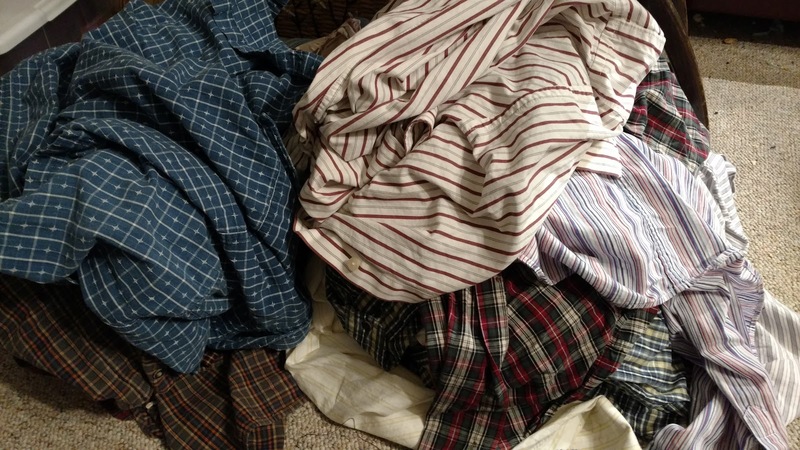 I did buy some shirts at the rescue mission for .25 each. 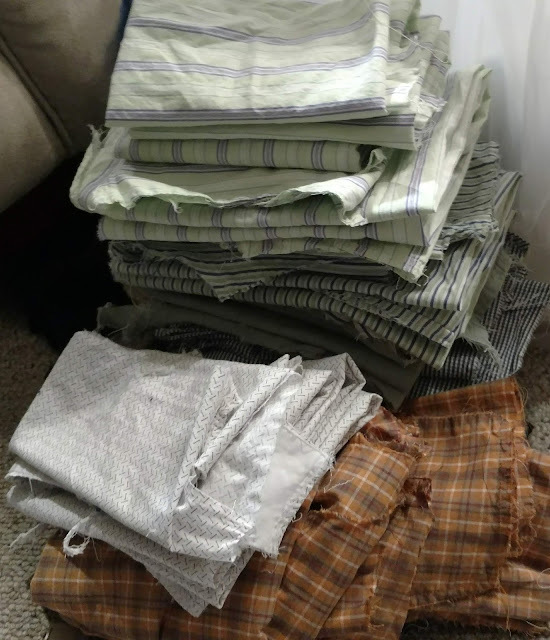 But, I walked away from thrift store fabric and giveaways and other peoples's scraps....at least last week. 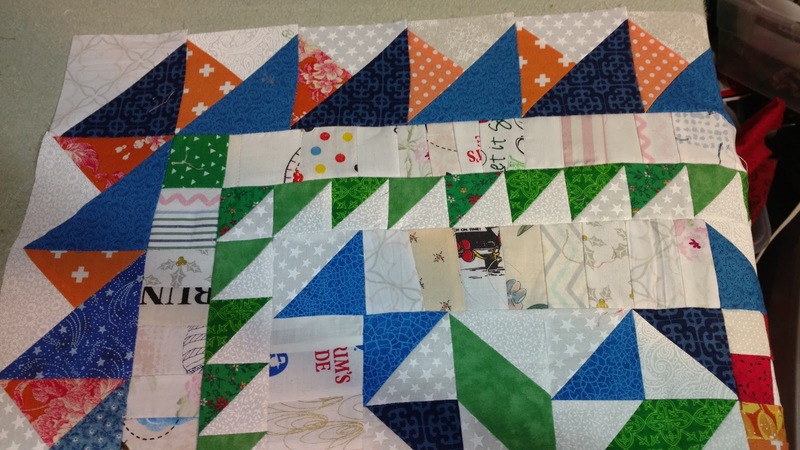 I make no promises. 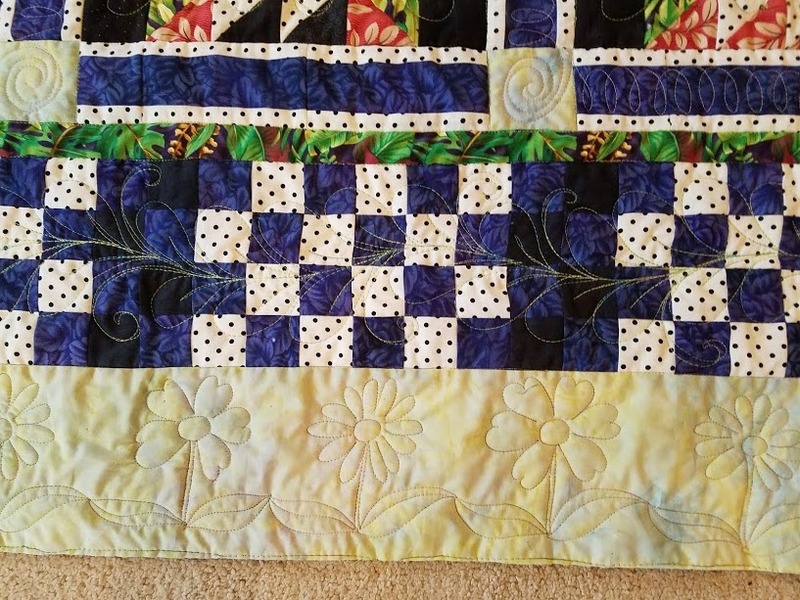 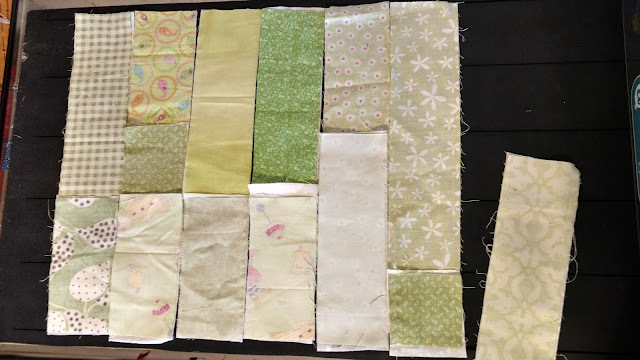 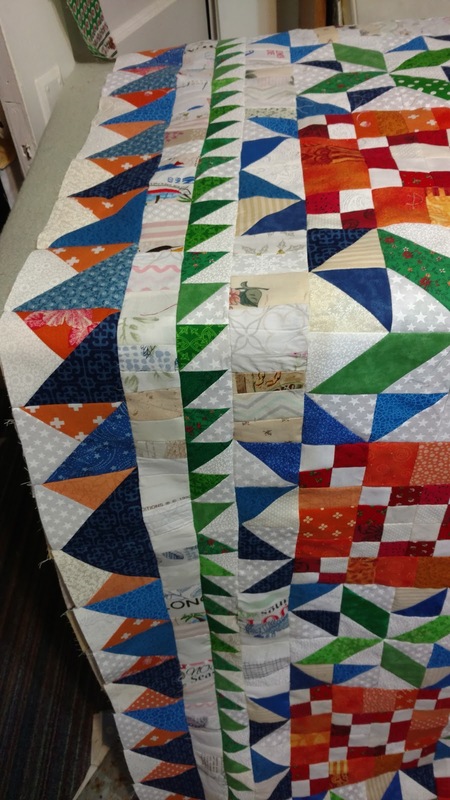 I am still sorting through the green scraps, and used the shortish strips to make 4 patches in 2 1/2 inch size. I used the 2 1/2 inch die to subcut into twosies. 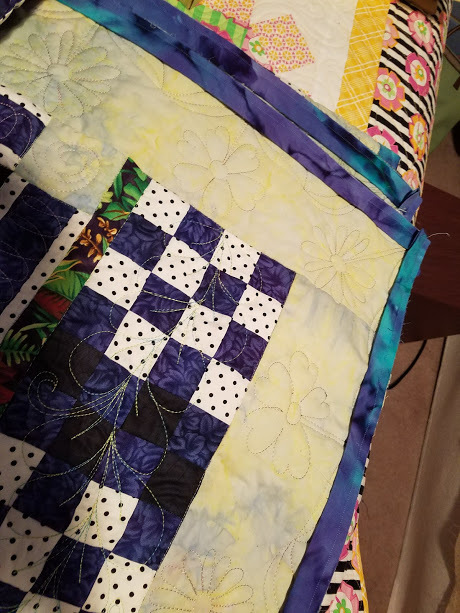 In my project box for my second version of Grand Illusion mystery quilt, I couldn't find the inner border or the fabric that it was supposed to be. So it could be anything I wanted. 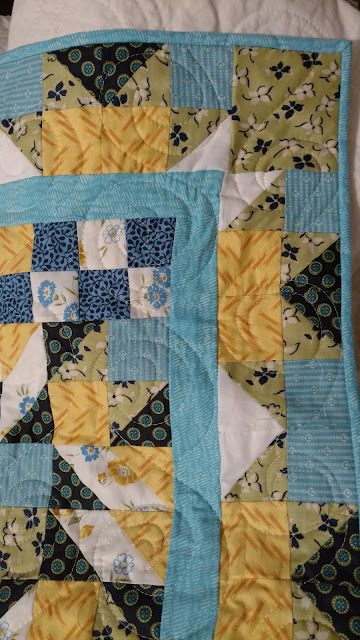 It was supposed to be the turquoise in the 4 patch. I tried yellow, blue, white, navy, green in different variations. 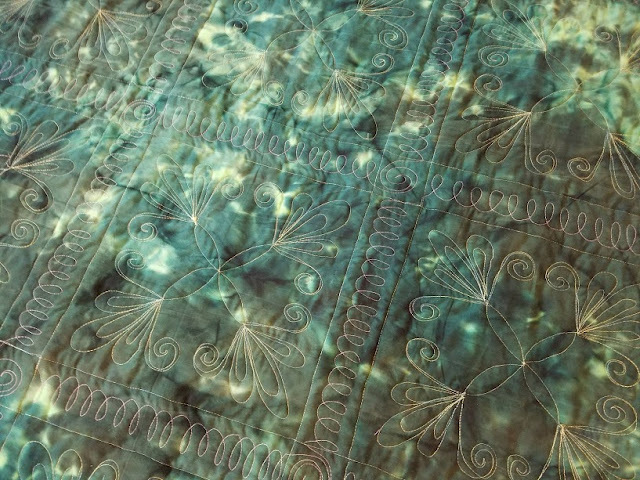 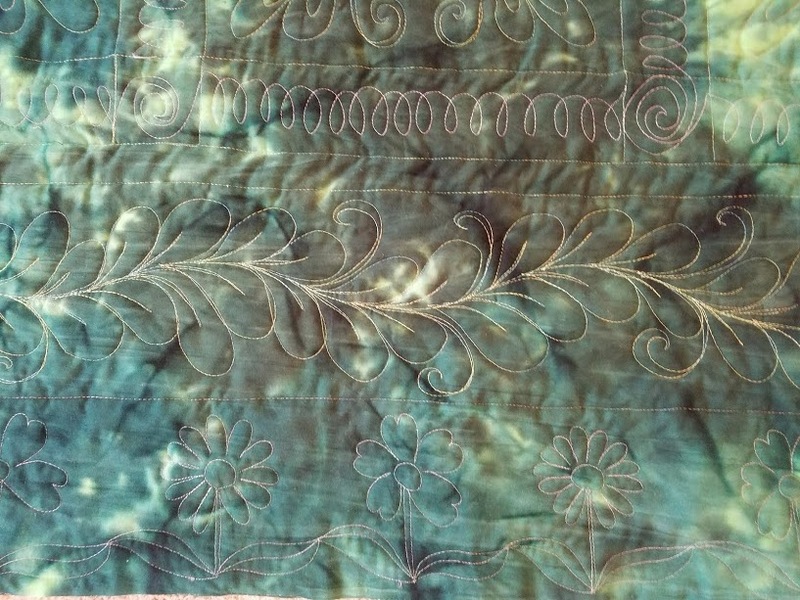 But, I liked turquoise the best, and I had a different fabric that is a pretty good match. 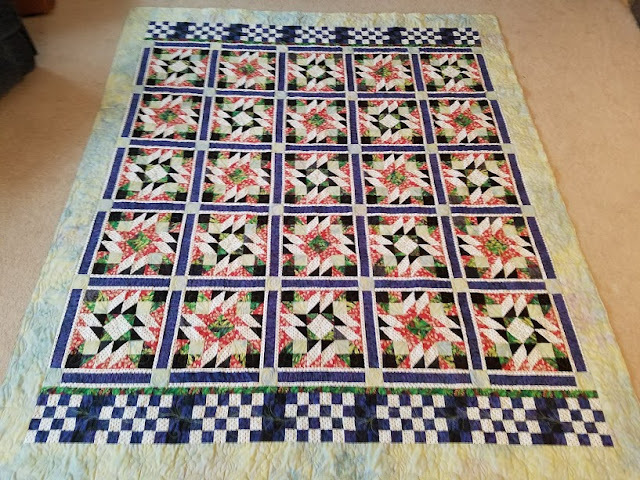 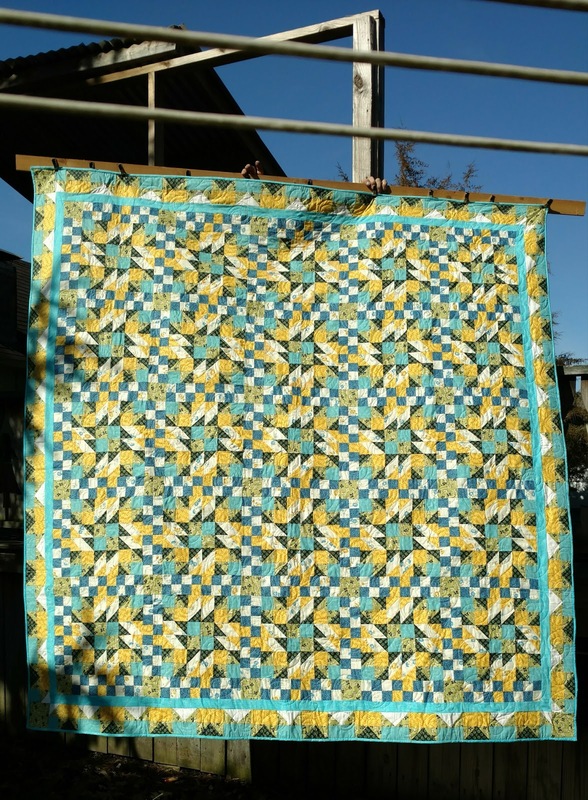 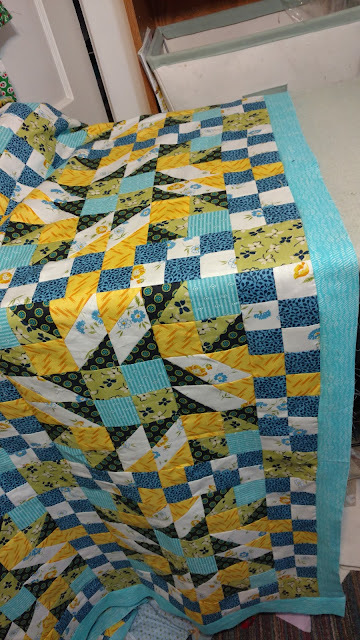 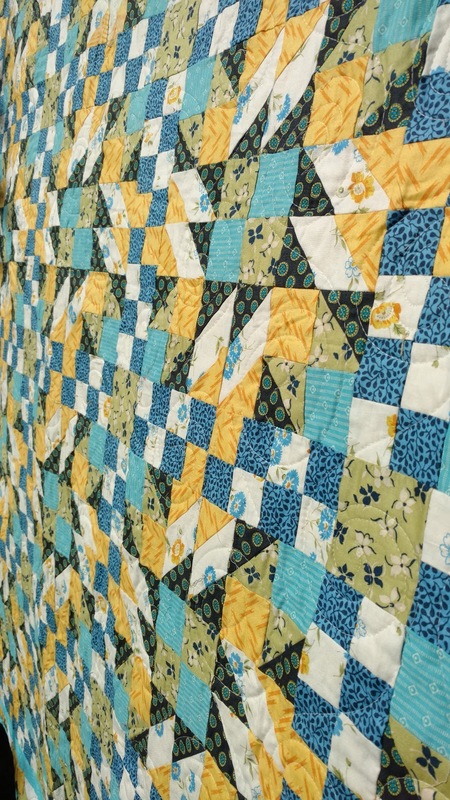 I spent my days after work this past week and most of the day Saturday quilting this one. It was a Bonnie Hunter Mystery. I didn't like how busy mine turned out so I changed the layout and blocks with the pieces I had already made. 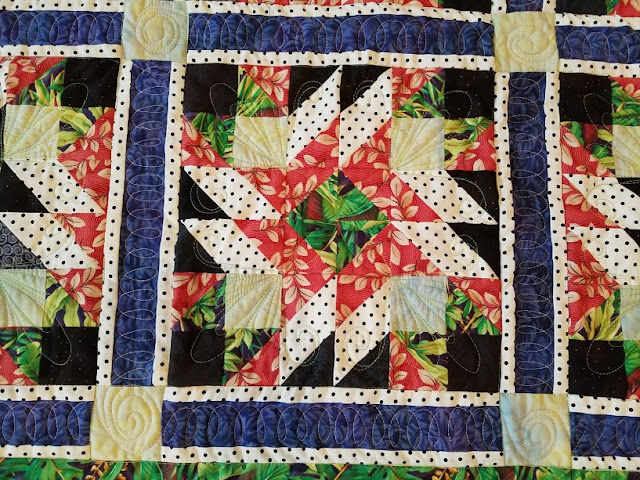 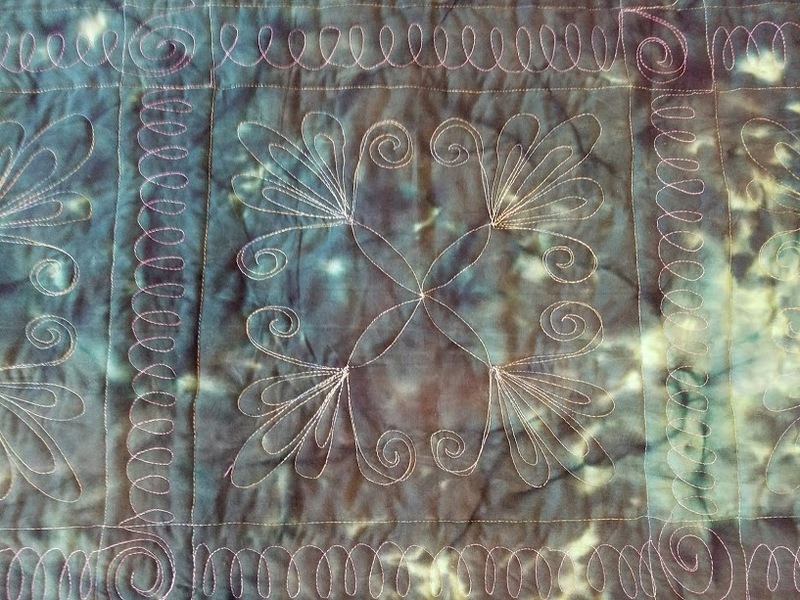 I really like it better now that it is quilted. 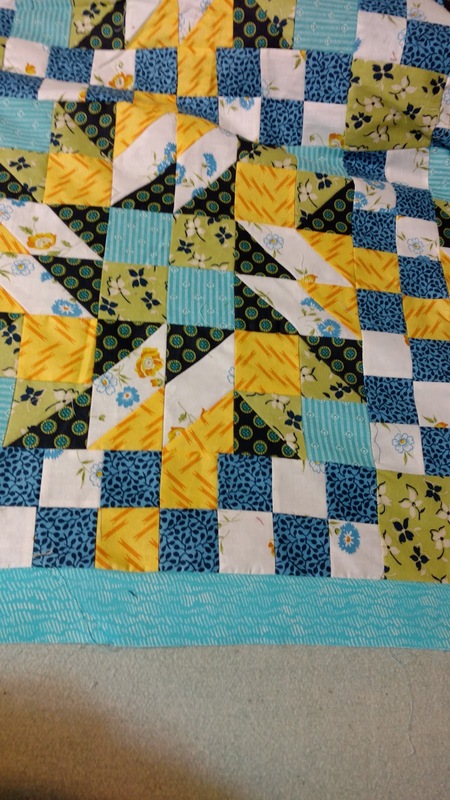 I attached the binding by machine tonight and will work toward doing the hand finishing.